Because of the death of President George H.W. Bush and subsequent memorials, Washington was on hold this week. The original deadline for passage of the reaming 7 funding bills for FY 2019 was today, December 7. With President Trump’s declaration of Weds. Dec. 5 as a national day of mourning for President H.W. Bush and the events in the Capitol and the National Cathedral, Congress all but recessed from its scheduled work for the week. With the agreement of President Trump, Congress extended the deadline for final funding decisions for two weeks, until Dec. 21. There is increasing talk of simply extending last year’s funding levels through September 30, 2019 – a continuing resolution – at least for a portion of the 7 remaining funding bills. The big hold up remains funding for a border wall between the U.S. and Mexico – President Trump’s top priority. The closer it gets to the holidays, the less likely a shutdown becomes. Members of Congress, like everyone else, are eager to get on with the festivities. Another short term extension is possible – say through March – but unlikely since the Democrats will have more leverage next year as they take control of the House. So either they come to agreement about new bills or they simply extend the old ones with the same level of funds as last year and no funds for the wall or other priorities. They very well may develop new bills for a portion of the 7 and extend existing bills for another portion. Education advocates continue to count their blessings, as the education funding bill was passed in September and holds through September 30, 2019. That is beginning to feel like an early Christmas present! 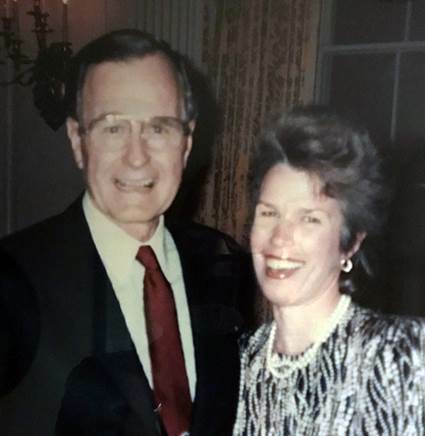 I was so fortunate to be a part of the George H.W. Bush era – working with so many others on developing and passing the Americans with Disabilities Act. I worked mostly with the National Council on Disability, a small independent federal agency designed to be a think tank for disability policy. 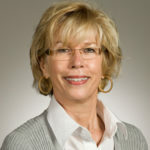 The Council was chaired at the time by a Bush appointee – Sandra Swift Parrino. She knew the Bush family and had a son with a significant disability. Many of the appointees on the Council were Republicans and had ties to Republicans in the Congress and the Administration. They also brought the lived experience of discrimination and a passion for disability rights. It actually was under the auspices of the National Council where the first ADA was drafted. (For a great history of the creation of the law see: https://ncd.gov/publications/2010/equality_of_Opportunity_The_Making_of_the_Americans_with_Disabilities_Act .) The early drafts included equal access to health insurance! (See: https://ncd.gov/publications/1988/Jan1988) Unfortunately that was considered a deal breaker and was taken out before the bill was originally introduced – in the Senate by Lowell Weicker (R-CT) (for whom I had previously worked) and in the House by Rep. Tony Coelho (D-CA) in April, 1988. I also was fortunate enough to work on the first Presidential Commission on the HIV Epidemic – another entity established by a Republican Administration. Led by Admiral James Watkins, this Commission issued a report in June 1988 calling for broad federal anti-discrimination coverage for people with HIV and AIDS. I am told that this report was quite influential in ensuring that people with HIV were in fact covered by the ADA. It is in this era that I came to understand what a powerful force for the good of all people our federal government can be. Being a small part of the intense bi-partisan work sustained over years that led to the ADA was one of the great privileges of my career. Knowing our government can, and has, worked so well always sustains me as we move forward.